Unakite - Unakite is a balancing stone. It is said to help unify the emotional, spiritual, mental, and spiritual aspects of self and thus can help us feel more centered. 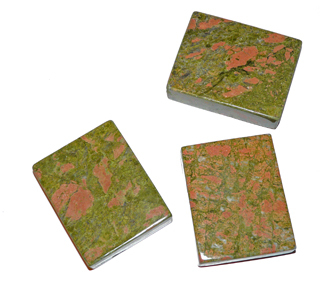 This makes unakite an excellent stone for people seeking a more well-rounded existence. Unakite helps to provide a gentle release of blockages that have been inhibiting personal growth. Unakite is also known to absorb and convert the electromagnetic pollution given off by computers, monitors, television sets etc, as well as geopathic stress. A chunk, sphere or a slab of unakite will not only look beautiful, but will also help cleaning your space. Unakite helps in connecting the lower and higher heart chakras and brining healing and peace to the heart and circulatory system. 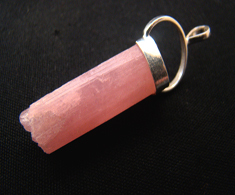 It also can assist one in staying grounded through meditation, healing and spiritual work. High Energy Pendulum is a result of years of research in the field of subtle energy, energy transfer, charging objects with subtle energy, crystalline grid, etc. Although I’ve made other devices with similar properties before, they were fairly bulk and usually in a form of a wand and difficult to take it with you on your day-to-day activities.